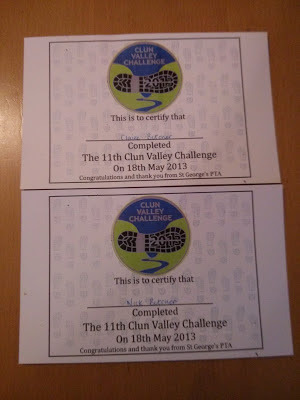 The Clun Valley Challenge was mostly walkers, with Claire taking the 16 mile option. Just over 20 runners set off 45 minutes after the walkers, and I found myself running at the front after a couple of miles. I pushed hard to stay with another runner who I hadn't realised was running 16 miles, only to find us arguing about who was going the wrong way at the fork at about 14 miles, where it turns out we were both going the right way, just not the same way! Great to be first runner home, even in a very small field. Marathon #47 for me in 5:06. The Shropshire hills took me by surprise, hence the slow time. 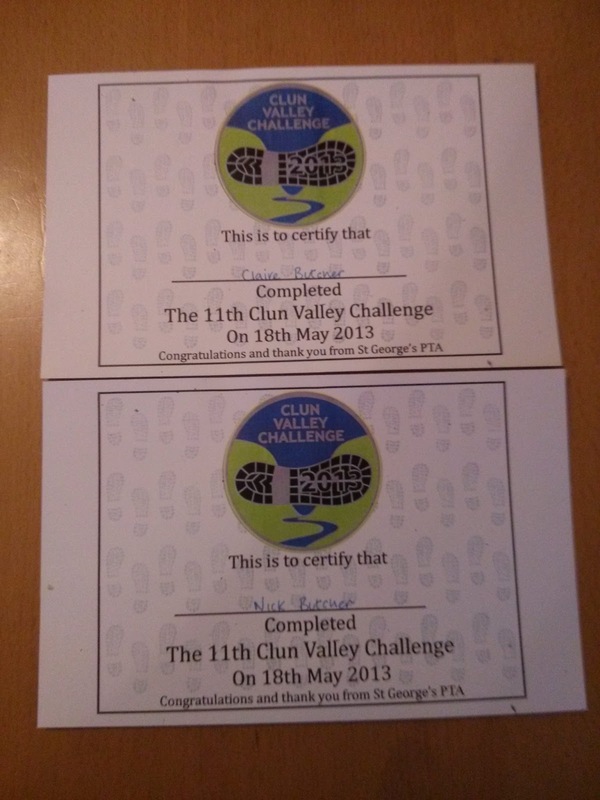 The rough ground, muddy in places didn't help either. Excellent organisation on this one, and a meal at the finish. Definitely one to run again.